My short story, Dagiti Timayap Garda, will be appearing in an anthology edited by Jonathan Oliver and published by Solaris Publishing. I’m pretty chuffed about this story because it’s inspired by the Tikbalang. It’s not exactly the Tikbalang as the Timayap Garda goes beyond shapeshifting. My thanks go out to Victor Ocampo who read this story and sent me critical feedback on a section that I was in doubt about. Thanks, Victor. The timayap garda made its first appearance in a short story I wrote during Clarion West. 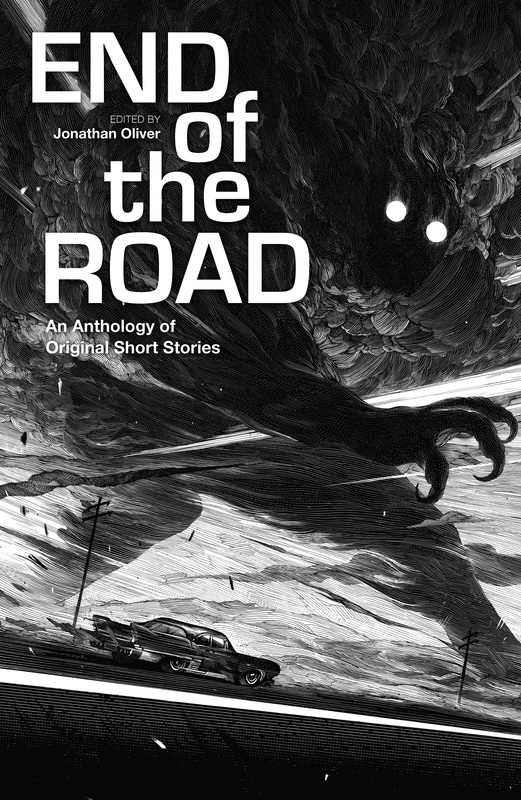 Someday, I will publish that story, but for now, the creatures in that world are making their way into print and that makes me happy..
Here’s a preview of the stunning cover art for End of the Road. I’ll be doing tons of squeeing when it comes out. Congrats on the publication! The mythology behind the Tikbalang was an interesting read. I hope you’ll let us know when the anthology comes out. I will definitely check this one out! I loved reading the Song of the Body Cartographer. Reading stories with Filipino folklore has helped me to understand heritage. I’ve recently come across works by more writers/poets like Ivy Alvarez and Merlinda Bobis. It’s inspiring to know there are Filipino writers in the world writing the stories they want to write. I’m so glad you enjoyed Song of the Body Cartographer. Thank you for reading and for taking the time to leave a comment. The work of Filipino writers continues to inspire and encourage me as well. I also feel that we must write the stories we want to write. Its a really good story. I can’t wait for the anthology to come out! Its a really good story. I can’t wait for the anthology to come out! I can’t wait for the anthology to come out!